Johannesburg – During his time as mineral resources minister, Ngoako Ramatlhodi said he was asked to meet with the Guptas, but refused to do so. Ramatlhodi was speaking to eNCA when he revealed how he was asked by the president’s son Duduzane Zuma to meet with Ajay Gupta, his business associate at Tegeta Exploration and Resources. “Since I became the minister of mineral resources, the Guptas tried to have meetings with me. I refused to have those meetings. I simply told them to back off,” Ramatlhodi told eNCA. He had reported this to President Jacob Zuma, who said it was not a problem. Ramatlhodi confirmed to eNCA that there was no continued pressure to meet with the family thereafter. “I did not cooperate with the Gupta members,” Ramathlodi reiterated. This comes following a report by amaBhungane where Ramatlhodi said he was pressurised in 2015 by Eskom CEO Brian Molefe and chairperson Ben Ngubane to help the Guptas take over Glencore’s coal mine in 2016. Ramatlhodi said he was asked to suspend the licences of Glencore mines. He refused to do so and was later removed as mines minister by Zuma and redeployed to public service. The president had told Ramatlhodi he had done a good job as mines minister, and that with his background he could manage public service. “I accepted those reasons and I still do,” said Ramatlhodi. However, Ramatlhodi added that he was willing to “share more” on a different platform, such as a judicial commission of inquiry as proposed by former public protector Thuli Madonsela in her State of Capture report. Molefe was implicated in the report over procurement of coal contracts with Optimum Coal Mine linked to Gupta-owned Tegeta. He subsequently resigned in November 2016 following the release of the report, but was reinstated after Public Enterprises Minister Lynne Brown blocked a R30m pension payout to him. Molefe returned to the power utility on Monday. 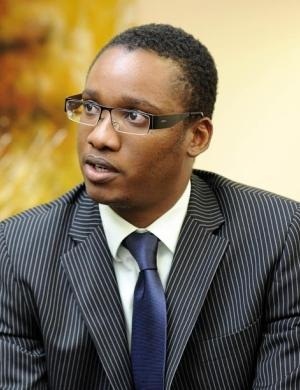 He was supposed to deliver the opening address at the African Utility Week conference held in Cape Town this week. However, Molefe pulled out at the last minute. Ngubane represented Eskom, indicating that Molefe had “urgent business" to attend to.